With the enormous growth in global interactions including online activity, there has also been a massive increase in online crime including hacking and identify theft. Due to perceived increased weaknesses in international borders and the flow of people, including terror networks, there has been an increased surveillance of people in many societies. This short unit of work will aim to find out her personal freedoms are compromised using four case studies beneath. Task - The group should be split into four and each group should take one video and associated and produced a short piece of summary work of how each issue can impact on people and business to share with the rest of the group. The gaining of unauthorized access to data in a system or computer. Email fraud is the intentional deception made for personal gain or to damage another individual through email. ​the fraudulent practice of using another person's name and personal information in order to obtain credit, loans.. There has been much in the news recently about the arrest and detention of Meng Wanzhou, the Chinese tech company's chief financial officer. The other issues include the suspicion that Huawei backed by the Chinese government has implemented a surveillance programme on many devices to monitor internet, mobile phone and other communication usage. Task - Conduct some research on the perceived political and economic risks of a Chinese based company supplying high-tech ICT hardware and software to other countries. The two videos above are good, but the 23 minute Podcast below is an excellent source of information. Take notes from either the two videos above or the Podcast beneath. How to Huawei threaten the economic dominance of HIC telecommunications companies? bbc the inquiry -​ What’s so scary about Huawei? Piracy off the coast of Somalia refers to criminal violence and threats to shipping in the Gulf of Aden, Guardafui Channel and Somali Sea, in what some say are disputed territorial waters. It had primarily been a threat to international fishing vessels, expanding to international shipping since the second phase of the Somali Civil War, around 2000. Fishing communities responded by forming armed groups to deter the invaders by hijacking commercial vessels. But this grew into a lucrative trade, with large ransom payments, and financial gain (piracy) was clearly the main motive. After the collapse of the central government in the ensuing civil war, the Somali Navy disbanded. With Somali territorial waters undefended, foreign fishing trawlers began illegally fishing on the Somali seaboard and ships began dumping industrial and other waste off the Somali coast. This led to erosion of the fish stock and local fishermen started to band together to try to protect their resources. Take notes on the causes and effects of this physical interruption to global supply chains through the hijacking of ships. It will be worth including a map like this one that shows the advance of pirate territory. What are the solutions in terms of preventing ongoing pirate attacks? Part 1 - Profit repatriation and tax avoidance by TNCs and wealthy individuals. Many countries around the world are now dealing with an emerging reality that global interactions can undermine both the political system and the sovereignty of their laws. Two of the most famous cases are those multinational companies who use complex offshoring methods to reduce taxation payments in host countries and others who refuse to repatriate profits back to the country of origin, again as a way of reducing tax burdens. The two examples beneath study the operations of Nando's (chicken restaurant) and Apple. Task - Watch both videos and make summary notes of how both well known companies manipulate (legally) the tax markets and how political pressure has led to Apple to change its operations. There has been much in the news lately about so called disruptive technologies such as drones and 3D printing. Events at the end of 2018 demonstrated that drones being irresponsibly flown close to an airport can lead to a shut down of an international transport hub at one of the busiest times of year. This last section of this work requires two detailed examples to illustrate geopolitical tension/conflict. We can refer back to our case study on the Front National in France as one example as part of their manifesto (apart from being anti immigration) is moving to counteract what they perceive to be the negative implications of globalization. A reminder is here. 1. the anti-globalization stance taken by the Chavez government during this time period measured against their absolute need for oil income (globalization) from foreign nations. 2. How has this now led to nationalism within the country in the face of perceived U.S interference in Venezuelan politics? 3. 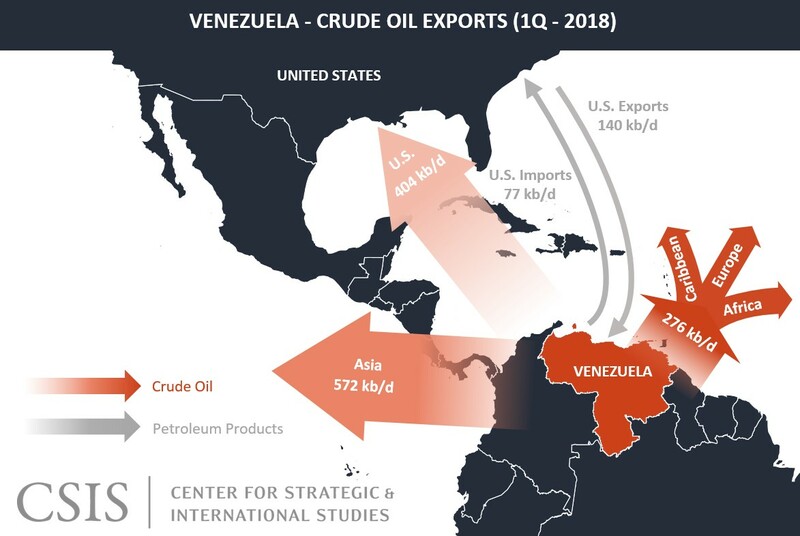 Using this link, describe the situation regarding the decreasing supply of oil since Chavez died and the subsequent impact on the economy and the people. 4. 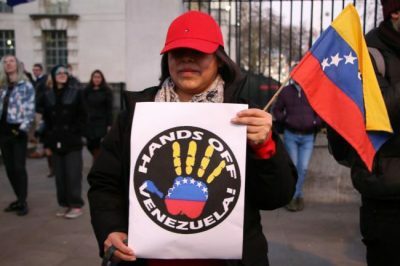 Scroll down to 'Where do countries stand on Venezuela' and comment on the distribution of countries with divided recognition of who is actually the President. Why is this problematic and how can it lead to further nationalism within the country. 5. Read this recent article from the BBC and in particular focus on the section entitled 'The fight against imperialism'. Make notes on the key points made as well as explaining what the term 'Chavismo' means.